WordPress is very secure by itself, but for more keep our blog secure, we can use wordpress plugins. They are easy to install and manage and will give you all the power and security. Here is the most downloaded WordPress security plugins list. Secure WordPress plugin help to secure your WordPress installation: Remove Error information on login page; adds index.html to plugin directory; removes the wp-version, except in admin area. Scans your WordPress installation for security vulnerabilities and suggests corrective actions. 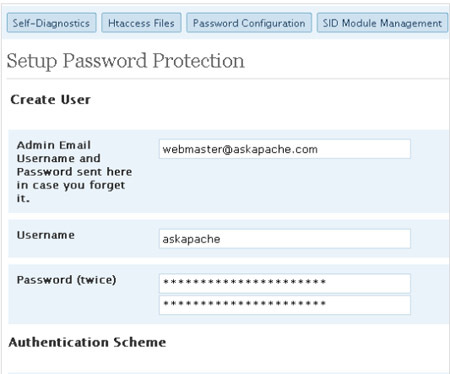 It scans your blog and checks passwords, file permissions, database security and WP version hiding. 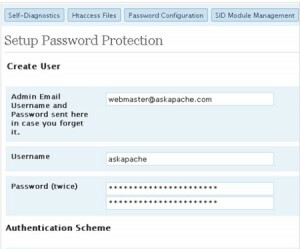 AskApache Password Protect adds some serious password protection to your WordPress Blog. Not only does it protect your wp-admin directory, but also your wp-includes, wp-content, plugins, etc. plugins as well. Login LockDown records the IP address and timestamp of every failed login attempt. If more than a certain number of attempts are detected within a short period of time from the same IP range, then the login function is disabled for all requests from that range. This helps to prevent brute force password discovery. 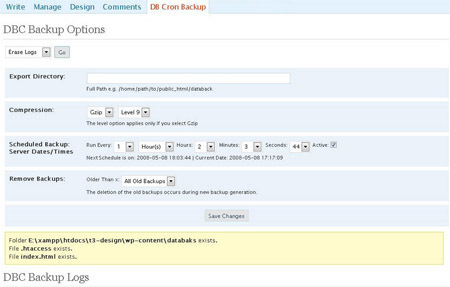 DBC Backup, is a simple way to schedule daily database backups using the wp cron system. The plugin will try to auto create the export directory, the .htaccess and an empty index.html file to protect your backups. If you are not having a secure connection like SSL to protect your password , then you can use this plug-in for encrypting passwords. It will use the Chap protocol to hide the passwords and transmit it encrypted. The only information that is transmitted unencrypted is your username. Protecting password will give full security because password leaks will enable the hacker the gain full control of your WordPress blog. This plug-in will work with both the private and shared SSL connections and it will force a SSL connection in every page where password can or has to be entered. It is very helpful to protect the admin area, posts and all the pages of your WordPress installation and secure the login page. 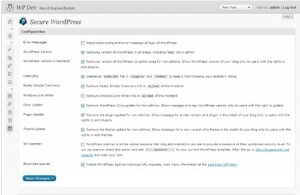 This plug-in works on WordPress 2.2 to 2.7. 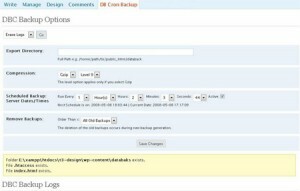 The BulletProof Security WordPress plugin is a one click solution that simply copies, renames and moves the provided .htaccess master files in the BulletProof Security plugin folder to either your root folder or your /wp-admin folder or both from within your WordPress Dashboard. 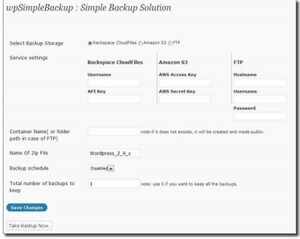 wpSimpleBackup is plugin for WordPress, that takes backup of your blog to Amazon S3, Rackspace CloudFiles or another FTP server. 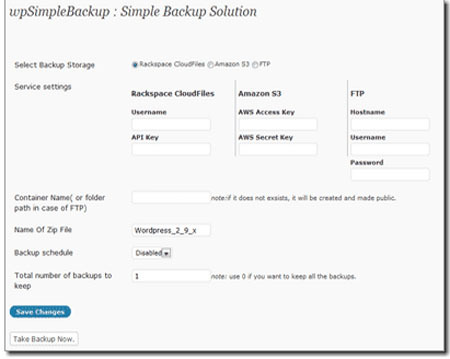 It also provides simple script to restore or migrate your backup anywhere.